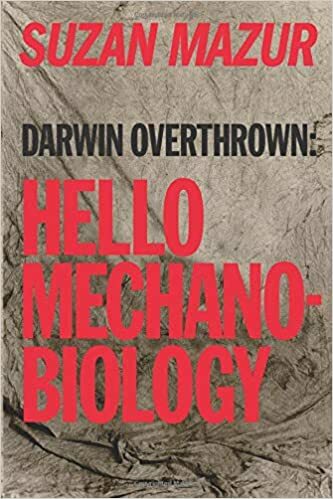 Darwin Overthrown: Hello Mechanobiology showcases the new evolutionary science at the crossroads of biology and engineering and feature interviews with the world’s key scientists investigating how physical forces and mechanics shape life. I knew paradigms would have to come into it somewhere. At what point does Darwinian evolution become laughable? Have we reached that point? You can laugh at the naked emperor as soon as you see him naked. All you need is to be unafraid of the emperor and his crowd of sycophants. In other words, darwinism has always been laughable. You cannot slide up the hill by laying the ladder down and extending it along an infinitely gentle upward slope, which is what darwinism proposes. It is no less laughable in the biological realm than in the physical.